31 Jan Join us for our Annual Anniversary Pawty! Join us for TOP DOG’s Annual Anniversary Pawty! Featuring “Barks Of Love” Rescue with Adoptable Pups !! Photo opportunity of American Indian Wolf, Novi! “Smooch a Pooch” in our Valentine’s Kissing Booth! 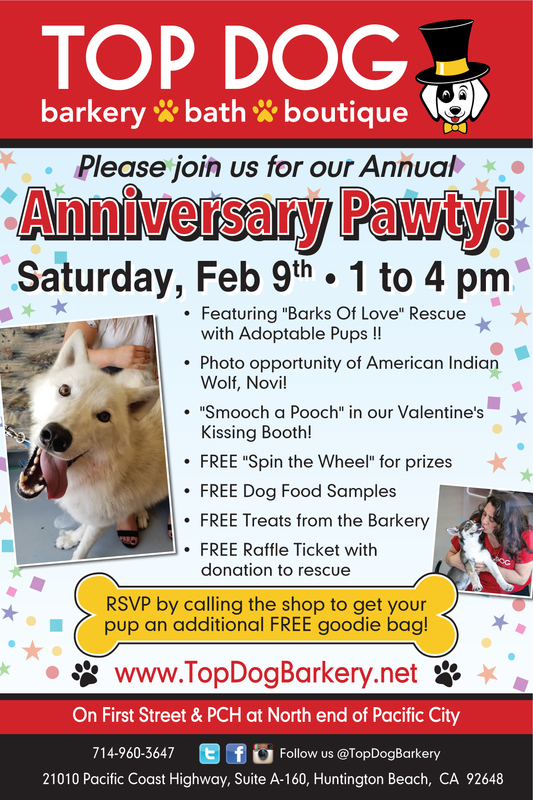 RSVP by calling the shop to get your pup an additional FREE goodie bag!